The Book of Joel is part of the Hebrew Bible. Joel is part of a group of twelve prophetic books known as the Twelve Minor Prophets. (The term indicates the short length of the text in relation longer prophetic texts known as the Major Prophets). c. 520–500 BC, contemporary with the return of the exiles and the careers of Zechariah and Haggai. Evidence produced for these positions are allusions in the book to the wider world, similarities with other prophets, and linguistic details. Other commentators, such as John Calvin, attach no great importance to the precise dating. The preservation of the book of Joel indicates that it was accorded special status by its contemporaries as “the word of the Lord” (1:1). Its history as part of the Jewish and Christian canons followed that of the entire scroll of the Minor Prophets. 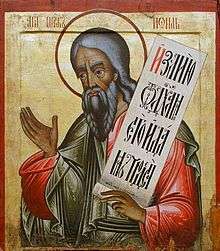 The Masoretic text places Joel between Hosea and Amos (the order inherited by the Tanakh and Old Testament), while the Septuagint order is Hosea–Amos–Micah–Joel–Obadiah–Jonah. 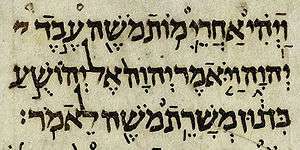 The Hebrew text of Joel seems to have suffered little from scribal transmission, but is at a few points supplemented by the Septuagint, Syriac, and Vulgate versions, or by conjectural emendation. While the book purports to describe a plague of locusts, some ancient Jewish opinion saw the locusts as allegorical interpretations of Israel's enemies. This allegorical interpretation was applied to the church by many church fathers. Calvin took a literal interpretation of ch.1, but allegorical view of chapter 2, a position echoed by some modern interpreters. Most modern interpreters, however, see Joel speaking of a literal locust plague given a prophetic/ apocalyptic interpretation. 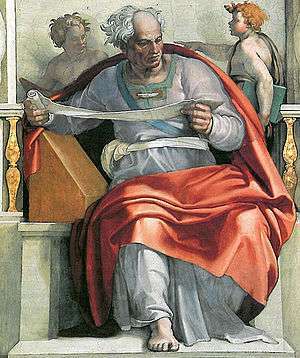 The traditional ascription of the whole book to the prophet Joel was challenged in the late nineteenth and early twentieth centuries by a theory of a three-stage process of composition: 1:1–2:27 were from the hand of Joel, and dealt with a contemporary issue; 2:28–3:21/3:1–4:21 were ascribed to a continuator with an apocalyptic outlook. Mentions in the first half of the book to the day of the Lord were also ascribed to this continuator. 3:4-8/4:4-8 could be seen as even later. Details of exact ascriptions differed between scholars. This splitting of the book’s composition began to be challenged in the mid-twentieth century, with scholars defending the unity of the book, the plausibility of the prophet combining a contemporary and apocalyptic outlook, and later additions by the prophet. The authenticity of 3:4–8 has presented more challenges, although a number of scholars still defend it. There are many parallels of language between Joel and other Old Testament prophets. They may represent Joel’s literary use of other prophets, or vice versa. In the New Testament, his prophecy of the outpouring of God′s Holy Spirit upon all people was notably quoted by Saint Peter in his Pentecost sermon (Acts 2). The table below represents some of the more explicit quotes and allusions between specific passages in Joel and passages from the Old and New Testaments. Plange quasi virgo, the third responsory for Holy Saturday, is loosely based on some verses of the Book of Joel. ↑ Outlined by Allen (pp. 19–25), who himself favours the third position. ↑ See Allen 25–29 for details and arguments. See also works on the Minor Prophets as a whole.